, Wooden Sliding Sash Windows, Aluminium or Timber have all the beautiful detail you can imagine. Our Sliding Sash windows are the best on the market today. They have all the elegant style of traditional sash windows and the very best modern materials. These windows help get rid of the upkeep problems and drafts that original timber sash windows have become known for. 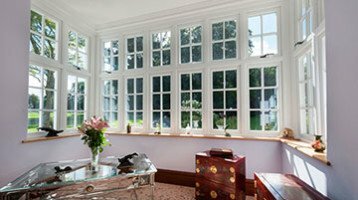 Our PVCu range of windows from the Bygone Collection are stunning Sash Windows. And they meet all of today’s strict requirements. We’ve taken the time to study original sash windows and to recreate the really important details. Details, such as the internal and external staff beads, continuous one-piece horns, authentic deep bottom rails. 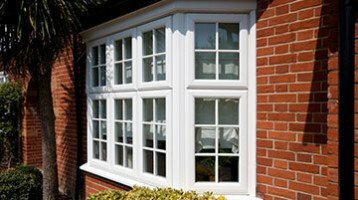 Our Sliding UPVC Sash Windows feature a special thermal break that meets the current window energy ratings. They use 24mm units with Diamant low iron glass to the outside pane. The inside pane has a warm edge swisspacer, Argon fill and 4mm Planitherm® Total+ soft coat glass. These windows can also be curved if needed and come in a wide choice of colours including anodised finishes. 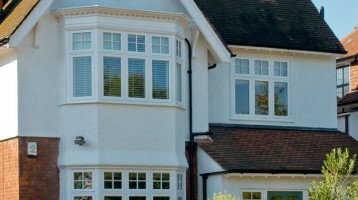 Cheam Timber Sash Windows are elegant yet functional with all the original character and charm. These windows feature a “cords and weights” system used where conservation area needs are an important factor. They make sure you keep character and charm of your property and still have modern tech and performance. All our Sliding UPVC sash windows, Wooden Sliding Sash Windows offer tilt in facility for easy cleaning, decorative authentic sash horns, high security and the best energy saving ratings. 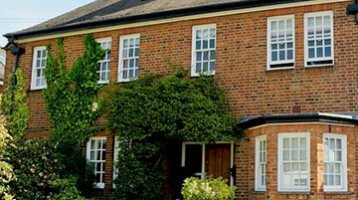 Our energy efficient windows have been found by the Energy Saving Trust to cut heat loss from your home by up to 74% over single glazed timber sash windows. This helps you go green while saving on your heating. Keep the character of your home and faithfully blend the beauty and elegance of original sash windows.